January 9 : Janet is spotted at the Bedrock shop in Tokyo, Japan. January 19 : Janet is spotted at the Bristol Restaurant in Paris, France. January 23 : Janet invites 5 fans to have a drink at her hotel and she reveals to them that she’s still working on the new album and has been collaborating with brazilian producers. January 25 : Janet is spotted at the airport in Paris. January 26 : Back in L.A, Janet watches the Grammy Awards with Gil & Preston. February 13 : Prince celebrates his 17th birthday in L.A.
February 21 : Blanket celebrates his 12th birthday in Las Vegas and attends his uncles The Jacksons concert with Prince, Katherine & Joe. February 22 : Birth of Kai-Ari Jackson, second child of Siggy & Toyia. February 25 : Janet & Wissam arrive in Paris. Recent media reports have speculated that Grammy winner Janet Jackson is separating from her husband Wissam Al Mana, but a source close to the couple sets the record straight. March 3 : Prince, Paris & Blanket visit a children hospital and are seen together for the first time since Paris suicide attempt last June. March 8 : Janet & Wissam leave Paris and fly to NYC. March 20 : Janet is spotted at the Zuma Restaurant in Dubai. April 3 : Paris celebrates her 16th birthday at the Diamond Ranch Academy in Utah. April 17 :La Toya and her nephew Prince attend a special screening of ‘Dancing In Jaffa’ at ICM Screening Room in Century City, California. May 8-18 : Janet & Wissam are in Paris for her birthday. She invites Gil & Preston. May 15 : Janet goes to the 79 Club with Wissam, Gil & Preston. May 16 : Janet invites 20 fans to share her birthday cake at her hotel with Gil & Preston by her side. At night Wissam takes her to the restaurant for a romantic dinner. May 26 : Randy Jr, Paris, Prince, TJ, Jermajesty, Jaafar & Austin celebrate Memorial Day together. June 6 : La Toya visits at SiriusXM Studios in New York City. June 8 : Prince & Blanket attend Donte’s 22nd birthday party. June 27 : LaToya attends day 1 of the Radio Broadcast Center during the BET Awards in Los Angeles, California. July : Paris leaves the Diamond Ranch Academy in Utah and she comes back to her family home in Calabasas. She is seen with her first boyfriend. BEVERLY HILLS, Calif. — Members of Michael Jackson’s extended family are stepping out of what they call “the Jackson bubble” for a reality show. The six-episode show, debuting Nov. 18 on Reelz, focuses on Alejandra Jackson, the ex-wife of Michael’s brother Jermaine, and her five children. 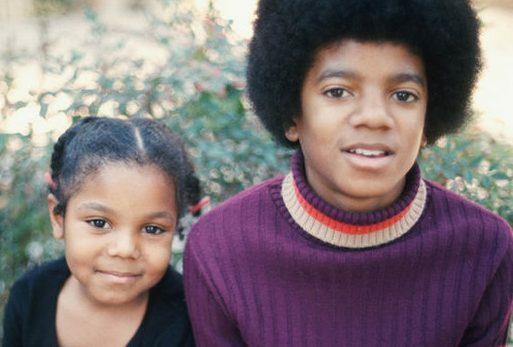 After Michael’s death five years ago, they left the Jackson family home in suburban Encino, a move that a clip from the show suggests wasn’t their idea. “We didn’t want it to happen that way,” Alejandra’s daughter Genevieve said Saturday at the summer TV critics’ tour. Son Donte Jackson added, “Some of the politics came into play.” At the same time, Genevieve said the family lived under constraints at the Encino house. “We were very sheltered,” she said. “There’s a lot of outside people coming in and out of our house. We had to watch what we said.” Alejandra Jackson and her brood started a new life away from the home of grandparents Katherine and Joe Jackson. She had two children with Randy Jackson — Genevieve and Randy Jr. — and then married Randy’s brother Jermaine, having sons Jaafar and Jermajesty. Alejandra has raised Donte since he was 2 after he was adopted by Katherine and Joe. “It’s a long story,” Alejandra said about her love life. Considering the amount of tabloid attention the Jackson family has received, why not keep their lives private? REELZ today announced a special television event – “Living with the Jacksons” (working title) featuring the Jackson family members who grew up inside the Jackson Family Estate and who are now living outside of it for the very first time. 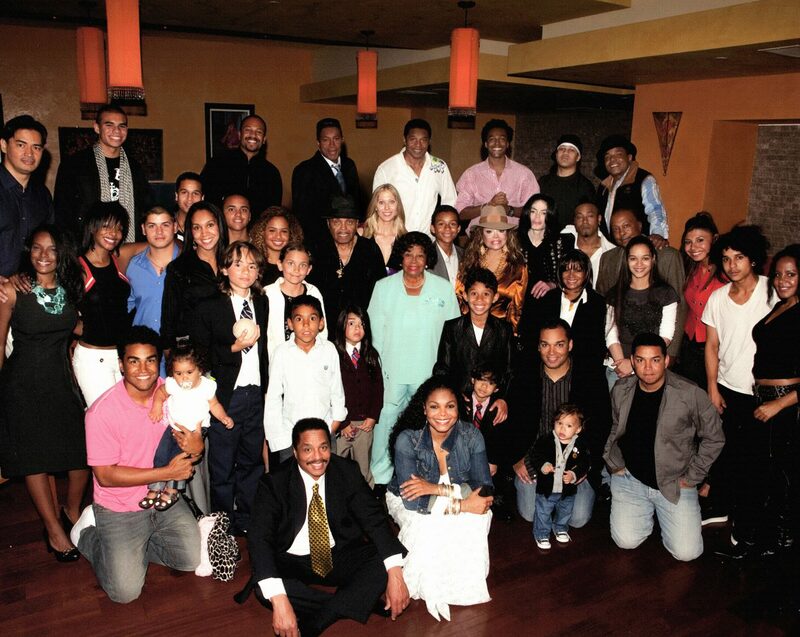 From the charmed and cursed life of the Jackson family, Alejandra Jackson emerges as a single mother to her five children: her two sons, Jaafar and Jermajesty from her marriage to Jermaine Jackson, Genevieve and Randy Jr., Alejandra’s daughter and son from her relationship with Jermaine’s brother Randy Jackson, and Donte, who Alejandra has raised since he was two years old. Together they are stepping outside of the inner world of the Jackson family and are ready to take on the world and embrace it with all the passion, joy, trials and tribulations that most families deal with but with one more ingredient that no one else on the planet has—they are Jacksons. “Living with the Jacksons” is produced by ID Productions. July 29 : La Toya and Jeffre Phillips visit Hollywood Today Live Studio in Hollywood, California. July 30 : Janet invites Gil, Preston & Tony to an Island in Greece. August : Birth of Summer Sanchez, third child of Brittny. August 1 : Janet tweets : “IF there is a new project you’ll hear it from my lips”. August 2 : LaToya, Prince, Paris & Blanket attend Jaafar’s 18th birthday. August 8 : Janet goes to London with her team (Gil, Preston & Tony). Several sources announce a new album in november and negociations for an upcoming performance on X Factor UK. August 10 : Katherine, Joe, Prince, Blanket, Jermajesty appear in the season finale of Life With LaToya. August 13 : Gil & Preston go back to L.A while Janet stays in London with Tony. August 28 : Katherine, Rebbie, Austin, Yashi, Prince, Paris, Blanket & Omer attend The Michael Jackson Tribute Festival of the Arts at 2300 Jackson Street, the boyhood home of Michael Jackson in Gary, Indiana. August 29 : Janet & Tony visit Harrods in London. August 30 : Janet flies commercial from London to NYC. September 13 : La Toya attends the Brent Shapiro Foundation for Alcohol and Drug Awareness’ annual ‘Summer Spectacular Under The Stars’ at a private residence on in Beverly Hills, California. October 31 : Janet makes her first public appearance in 18 months at the Vogue Fashion Dubai Experience gala dinner at the Armani Hotel in Dubai. She is accompanied by Wissam and Preston who flew from L.A just for the occasion. November 15 : Janet & Wissam attend the ROTA gala in Doha. November 24 : Prince, Paris & Blanket have pre-Thanksgiving dinner at their Calabasas home with the family. December 14 : “Today we begin our journey with UNICEF”. Wissam & Janet. December 17-19 : Janet & Wissam visit Palestinian areas as well as UNICEF Zaatari refugee’s camp in Syria. December 24/25 : Prince, Paris, Blanket & Omer celebrate Christmas together in L.A.
December 31 : Janet attends a concert in Dubai feauturing “The Jacksons” (her brothers Jermaine, Jackie, Tito & Marlon). She sits next to her sister in law, Jermaine’s wife Halima.